​Devil May Cry 5 kicks off with a bang, immediately placing players in the shoes of the young demon hunter Nero. After a brief prologue and a hilariously over the top opening credits sequence, Nero gets access to the main feature of his moveset: Devil Bringer Arms. Created by the likable gunsmith Nico, one of DMC 5’s new cast members, each arm offers its own abilities. From powerful electric blasts to ridable rocket arms, this new mechanic fits the over-the-top tone of Devil May Cry perfectly and gives players the freedom to make Nero’s playstyle into exactly what they want it to be. More mobility is possible for people who need help avoiding attacks, while an arm that heals is an option for those who are aggressive and take lots of damage. The Devil Bringer system isn’t all there is to Nero, however, as he has the same chargeable revolver and sword from Devil May Cry 4 to upgrade as well. 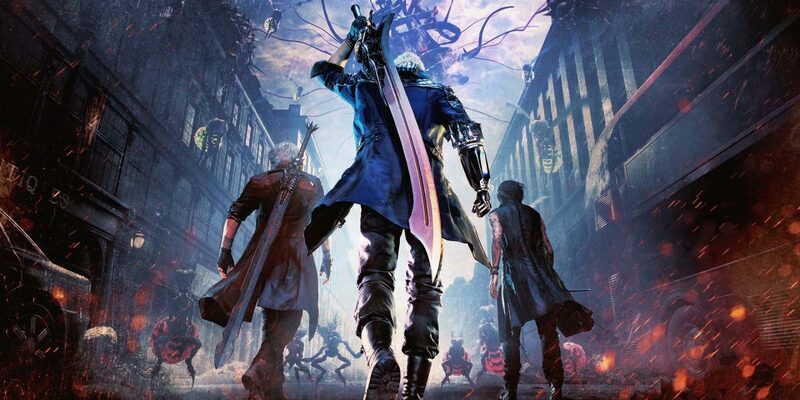 Nero is a blast to play as and takes time to master, yet as soon as players begin to get the hang of all his mechanics, they’re introduced to another playable character: V.
V is DMC’s other brand new character, and he’s far more interesting than he looks. ​His incredibly weak and frail nature makes him different from just about any other playable character in an action game, as he completely lacks the ability to fight. Instead, he commands three demons: a bird named Griffon, a tiger named Shadow and a monster-like creature known as a Nightmare. While Shadow attacks enemies on the ground Griffon provides air support, and when enough damage is done Nightmare can be called in to land some really devastating hits. This makes V’s role in fights interesting, as he spends most of his time dodging attacks and coming in to land the finishing blow on injured enemies. It’s a style of gameplay that is completely different from what is usually seen in the series, and the developers certainly took a risk by including such a unique playstyle, but they managed to make V feel every bit as fun as Nero. ​​Then, there’s Dante. The third and final playable character in the game, The Legendary Demon Hunter perfectly captures what made the old games so popular. He still has his four fighting styles, and his missions still build up his arsenal of weapons to further expand upon those styles. From classics like Ebony and Ivory to a ridiculous motorcycle-sword hybrid to a hat that uses upgrade points as projectiles, you won’t bat an eye when you eventually unlock a dual wield rocket launcher. He’s the least “new” of the three characters, but it’s nice to have the original hero play like he used to… especially when he plays better than ever and gets some new tools to add to his collection. It’s incredible how different each playable character is, with dozens of upgrades and what seems like a never-ending number of combos available for all of them. Nero, V and Dante will undoubtedly take multiple replays for even the most skilled player to truly master. There’s a lot to love about Devil May Cry 5, but it’s the incredibly diverse gameplay that comes from having three playable characters that makes it special. ​Starting with the obvious, the game is drop-dead gorgeous. The facial animation for every character is outstanding, every movement feels fluid and the HUD is sleek. The pretty visuals are accompanied by some strong sound design, as every strike can be heard hitting its target and the game’s audio can successfully give warnings about what’s going on around you. As expected, the soundtrack is awesome, with each of the three characters getting their own badass theme to back up their fights. It would be nice to have some more environmental variety, however, given how good everything looks and sounds. While far from “weak”, as what’s there does look nice, the plentiful demonic environments can get a bit stale. Still, DMC 5 does its job and then some in this area. Even on a regular PlayStation 4, I had no problems running this beautiful game. As mentioned earlier, the game also does a great job of trimming the fat that’s seen in a traditional Devil May Cry experience. Quite simply, anything that would distract from the action is gone. Healing items (and any other item, for that matter) are gone, with the self-reviving gold orbs being more common instead. Weapons are switched in-game and the game’s camera is no longer just a collection of fixed angles that struggle to show all the action. There are no sections that force you to backtrack for ten minutes, nor are you rushed through any levels because of a time limit. If there’s a puzzle in the game, it’s incredibly simple and quick instead of tedious and confusing. Basically, Devil May Cry 5 is the ultimate DMC game. It keeps everything that works while removing what didn’t, and it adds some new things on top of that. With nothing holding the game back, it’s exactly what it should be: you fighting hundreds of badass-looking demons and having a good time doing it. While certainly not at the level of a Naughty Dog or Rockstar game, Devil May Cry 5’s story is the best-told out of all the games in the DMC series. It may follow a similar format to the others (big tower in the center of a city, big evil guy that the characters fail to beat a few times), but what it does within those boundaries is certainly good. It moves along at a perfect pace, answering new and old questions as the game goes on. Rather than playing as one character for 1/3 of the game and then moving to another, the choice is made to switch between them every mission or two and tell their side of the story. This was the right decision, as it never leaves the player wanting to get back to one of the characters and always makes the game feel fresh. The game is also incredibly funny, with Nico, Nero, Dante and everyone else getting at least one laugh out loud moment to themselves. The final two hours are full of fan service and are sure to leave longtime fans satisfied, but the ending avoids being unenjoyable for newcomers at the same time. ​If there is one downside to the game’s plot, it’s that longtime supporting characters Lady and Trish feel more unnecessary than ever. Spending a good portion of their screen time naked, their only real purpose in the story is to be eye candy and setup some future DLC. While it’s a small problem overall, since Nico is a likable enough supporting character to cover for them, their involvement is a bit distracting in a narrative that stays fast-paced and focused. Even with Lady and Trish’s impressive ability to do nothing, Devil May Cry 5’s story is enjoyable from beginning to end and the 15 hours going by in a blink of an eye. It’s good, then, that the game is so replayable. 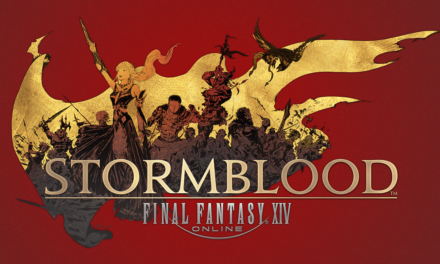 In fact, with a half-dozen difficulties available and new gameplay experiences coming from each, it’s safe to say that this is one of the most replayable singleplayer games on the market. It’s worth playing at least twice, as a few missions offer a choice of which character to use and the second playthrough adds a fun new mechanic involving some picture-taking. Secret missions are hidden throughout the game and each one provides a new kind of challenge, with tricky platforming and time trials being much more fun as optional tasks than required objectives that can hurt pacing. Best of all, every character becomes more intriguing on another run. On a first playthrough, Dante gets weapons too quickly to truly see everything each one has to offer, so going through again adds way more options for the gaming icon. V, on the other hand, has dialogue that becomes much more interesting when you know where his story goes. Finally, Nero gets yet another huge gameplay mechanic in the last mission of the game, and it gets expanded upon during the credits. It makes him the deepest character of the three, and the fact that it’s worked so smoothly into his normal moveset is more than enough to justify a second playthrough. ​When you’re in Devil May Cry 5, there’s nothing to take you out of the action. All the little issues from the older games are gone, and only the best things remain. On top of that, everything new works brilliantly. Nero’s Devil Bringer system, V’s unique fighting style and Dante’s collection of new and old weapons help to make all three characters feel unique, and the story juggles them all perfectly. While it would be nice to have a little bit more variety in the environment (and maaaaybe see Trish and Lady do something), it’s no big deal. The game looks great, sounds great and feels great… and it’s sure to remain that way on the many replays it encourages its players to go through. Devil May Cry 5 is the best game in the series, and even further, the best pure action game of this console generation.